VA Engine 76 arrived minutes after being dispatched and advised of a one story rancher with fire showing from the attached garage. Firefighters immediately went into service with handlines to contain the blaze. Initially Captain 49 assumed the Command followed by Chief 49 and Chief 38. Firefighters worked into the night to contain the fire and conduct salvage and overhaul of the structure. The fire was officially placed under control at 1951. 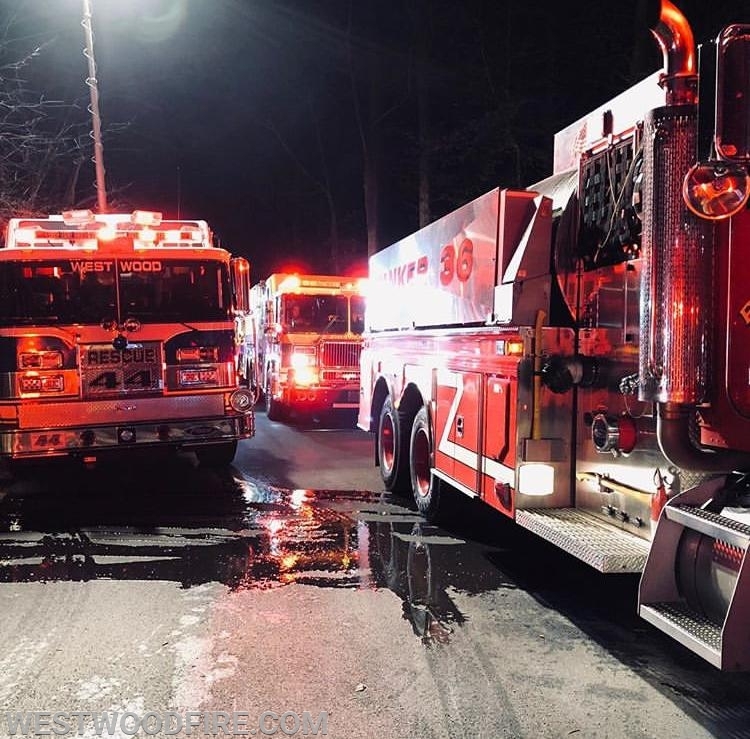 Westwood Fire Company responded with Rescue 44 and Engine 44-5. Engine 44-5's responsibility was to supply water to the scene and Rescue 44 provided lighting at the tanker shuttle area. Peco was called to the scene to secure the utilities and the Chester County Fire Marshal's Office is investigating the cause.